We all know it’s true: kids can be cruel. The media coverage on the effects of bullying from this year alone have proven that bearing the brunt of cruelty, especially at a young age, can have lasting effects, and can even lead to tragedy. Being different than the status quo can ruin a children's memories of school and demolish their self-esteem, possibly for a lifetime. So how can you protect your child with curly hair from the straight-haired kids at school? Straightening isn’t the answer. As parents, we have a responsibility to teach our children to prepare for and face their problems. Unfortunately, however, most of us still don’t even know how to deal with those problems ourselves. The overwhelming majority of readers on the CurlTalk forum simply say they are glad they are past that stage. For your kids, this journey is just beginning. It's high time to learn how to prepare them, and yourself, for the school years ahead. "I Can't See Over Her Hair!" Let’s be honest: most curlies have volume, and lots of it. Gravity is unknown to the curliest of us, and this is just as true for kids in elementary school with Afros. So, how do you deal with a head of tall curly hair when the student behind her can’t see the board? Most elementary school teachers chose their profession because they love children. God bless them. However, moving your child to the back of the room is an easy solution that will only keep the other children happy, but not your curly kid. Schedule a conference with the teacher and try to have it in her classroom. Encourage your child to explain the set up of the room before you meet her teacher. This way, when you request that the teacher rearrange her desks – with your help, of course – you can toss some ideas around. According to Eduplace.com, elementary classrooms benefit more from having separate learning centers in circular patterns instead of traditional lines. Do a little research and see if you can’t persuade her. Creative or not, they're plain mean! I’m not sure a single child in the history of elementary managed to escape without a nickname. Even the positives ones back then felt uncomfortable. In fact, the whole idea of having to answer to a name different than the one your parents gave you is a troubling experience. Mine was, “heart girl,” because I liked to wear a vest that had a heart printed on it. Once the nickname stuck, I never wore it again. In fact, I don’t think I ever wore anything with hearts on it after that, even to this day! 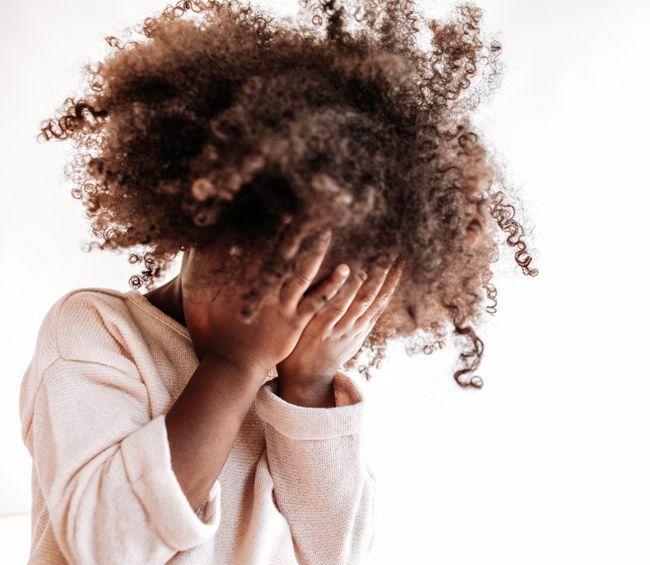 You don't want this to be the way your child feels about her curly hair. To avoid the situation, sit your child down before school starts and talk about respect. Explain that everyone’s opinion deserves respect, even theirs. If they don't like something – explain the difference here between “someone” – let them know that it is OK to express it. During the year, be sure to consistently ask your child whom their friends are and if they have any “fun” nicknames. If one comes out, ask her how they feel about it. If it's negatively, let her know that respect is a two-way street. If she is respecting them, they should respect her, and respect means not calling people names they don't like. You’ve worked hard to keep your little girl’s hair natural, curly and beautiful. Now, her best friend is encouraging her to get her hair relaxed like she just did. So what do you do when your child comes home, excited about a new hair ‘do and worried that her curly hair isn't "in?" You might think that you can just browse photos of celebrities with curly hair or have her sit down and chat with another curly that you know. But children have a way of thinking their best friend is cooler than just about everyone else. Nonetheless, you should still try to find natural hair role models for her. 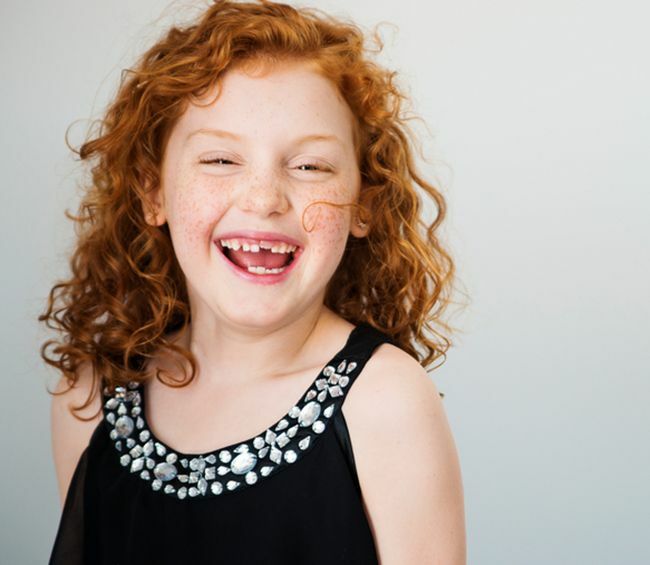 Find something else that differs between your child and her friend — skin tone, eye color, hair color, freckles, whatever. Make sure that this something is a genetic feature, preferably something that she has in common with you or her father. Explain to her that the way she looks is both beautiful and a combination of generations of people, who have worked hard to give her what she has. Make her see that she is different and original because of what her family has given her. And then, just hope that the conversation doesn’t spring back up in middle school, when her familial ties, and perhaps a small guilt trip, will be less likely to change her mind. Were you bullied as a child (or as an adult)? Share your experiences down below. Were you bullied for your hair as a child? Not all nicknames are good. In fact, most aren't. The sad truth about hair discrimination in school. Before you can instill confidence in your child, it's important to love yourself. This is how a mother's confidence impacts her daughter.